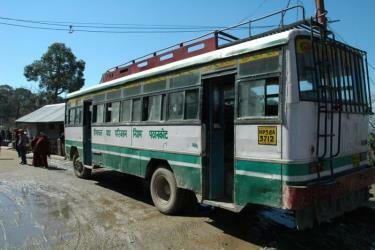 What is the cheapest way to get from Chennai to Ranchi? The cheapest way to get from Chennai to Ranchi is to train which costs ₹1,800 - ₹2,500 and takes 33h 40m. 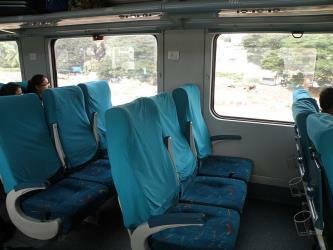 What is the fastest way to get from Chennai to Ranchi? The quickest way to get from Chennai to Ranchi is to fly which costs ₹5,500 - ₹25,000 and takes 5h 48m. 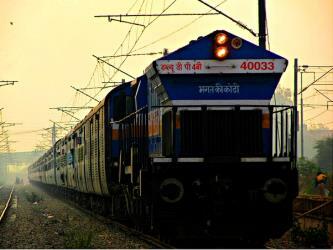 Is there a direct train between Chennai and Ranchi? Yes, there is a direct train departing from Chennai Central and arriving at Ranchi. Services depart once daily, and operate every day. The journey takes approximately 33h 40m. How far is it from Chennai to Ranchi? The distance between Chennai and Ranchi is 1258 km. The road distance is 1612.6 km. 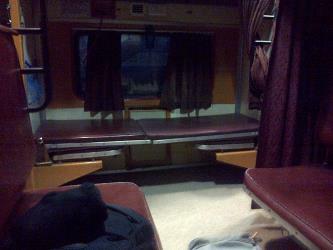 How do I travel from Chennai to Ranchi without a car? The best way to get from Chennai to Ranchi without a car is to train which takes 33h 40m and costs ₹1,800 - ₹2,500. How long does it take to get from Chennai to Ranchi? 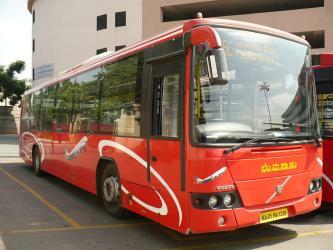 It takes approximately 5h 48m to get from Chennai to Ranchi, including transfers. Where do I catch the Chennai to Ranchi train from? 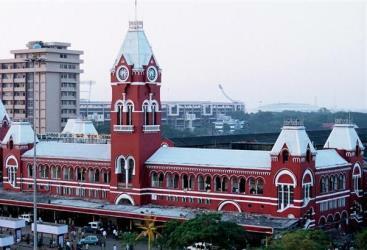 Chennai to Ranchi train services, operated by Indian Railways, depart from Chennai Central station. 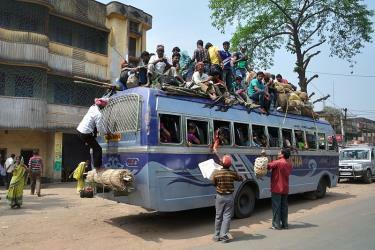 Train, bus or fly from Chennai to Ranchi? The best way to get from Chennai to Ranchi is to fly which takes 5h 48m and costs ₹5,500 - ₹25,000. Alternatively, you can train, which costs ₹1,800 - ₹2,500 and takes 33h 40m, you could also bus, which costs ₹1,900 - ₹2,800 and takes 34h 40m. How long is the flight from Chennai to Ranchi? There is no direct flight from Madras Airport to Ranchi Airport. The quickest flight takes 4h 45m and has one stopover. 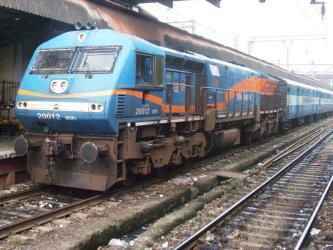 Where does the Chennai to Ranchi train arrive? 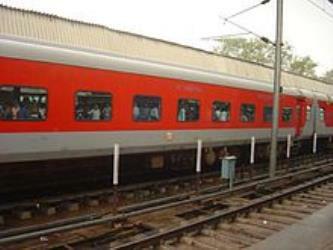 Chennai to Ranchi train services, operated by Indian Railways, arrive at Ranchi station. 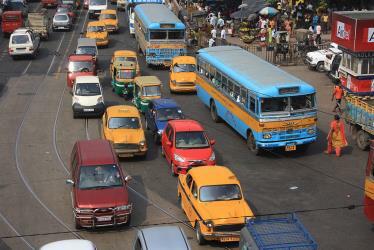 What companies run services between Chennai, India and Ranchi, India? IndiGo Airlines, GoAir and five other airlines fly from Chennai to Ranchi every 30 minutes. 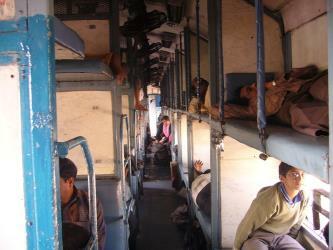 Alternatively, Indian Railways operates a train from Chennai to Ranchi once daily. Tickets cost ₹1,800 - ₹2,500 and the journey takes 33h 40m. Rome2rio's Travel Guide series provide vital information for the global traveller. Read our range of informative guides on popular transport routes and companies - including Travelling to and around Russia for the 2018 FIFA World Cup, The beginner’s guide to the 2018 World Nomad Games and How to get from London City Airport into central London - to help you get the most out of your next trip. Can I drive from Chennai to Ranchi? Yes, the driving distance between Chennai to Ranchi is 1613 km. It takes approximately 23h 32m to drive from Chennai to Ranchi. Which airlines fly from Madras Airport to Ranchi Airport? GoAir, Air India Limited and IndiGo Airlines offer flights from Madras Airport to Ranchi Airport. Where can I stay near Ranchi? There are 67+ hotels available in Ranchi. Prices start at ₹1,150 per night. Vivekananda Vidya Mandir is an English Medium co-educational school from KG to Class XII affiliated to the CBSE Board, New Delhi. It is oldest premier CBSE Senior secondary School at HEC Campus in Ranchi, Jharkhand.It is ranked on number 4th in Ranchi list of Best CBSE SCHOOLS. Birsa Munda Hockey Stadium or Ranchi Hockey Stadium is a field hockey stadium in Ranchi, Jharkhand. It serves as the home ground for Hockey India League franchise, Ranchi Rhinos. State Museum Hotwar is an Indian cultural museum located in Ranchi, in the Indian state of Jharkhand. The current secretary of the museum is Vandana Dandel. Birsa Agricultural University is an agricultural university at Kanke, Ranchi in the Indian state of Jharkhand. Established on 26 June 1981, after its formal inauguration by the then Prime Minister of India, Indira Gandhi. 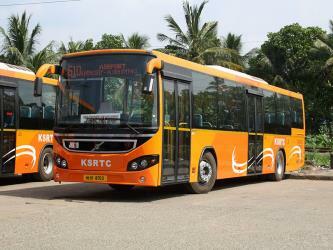 Rome2rio makes travelling from Chennai to Ranchi easy. Rome2rio is a door-to-door travel information and booking engine, helping you get to and from any location in the world. 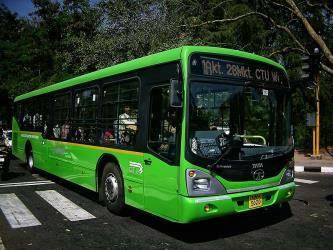 Find all the transport options for your trip from Chennai to Ranchi right here. Rome2rio displays up to date schedules, route maps, journey times and estimated fares from relevant transport operators, ensuring you can make an informed decision about which option will suit you best. Rome2rio also offers online bookings for selected operators, making reservations easy and straightforward.